What's new for the new year at Charming Ink? 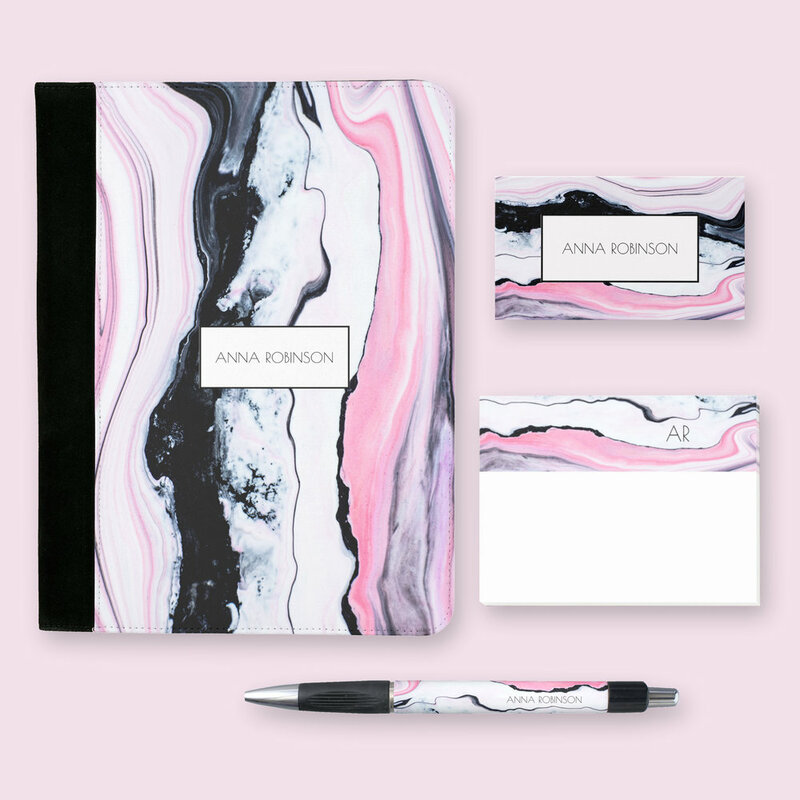 The Pink & Black marble collection. A stylish and modern collection of office goodies to make work more beautiful. Business cards, notebooks, post-its, binders and more. These items are available in the Charming Ink Zazzle store and are so easy to customize.